These Thanksgiving dressing and stuffing recipes will have guests coming back for thirds, fourths and fifths. 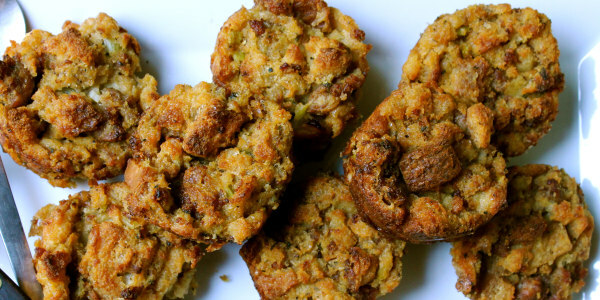 Ah, the age-old stuffing versus dressing debate: It resurfaces every year around Thanksgiving. 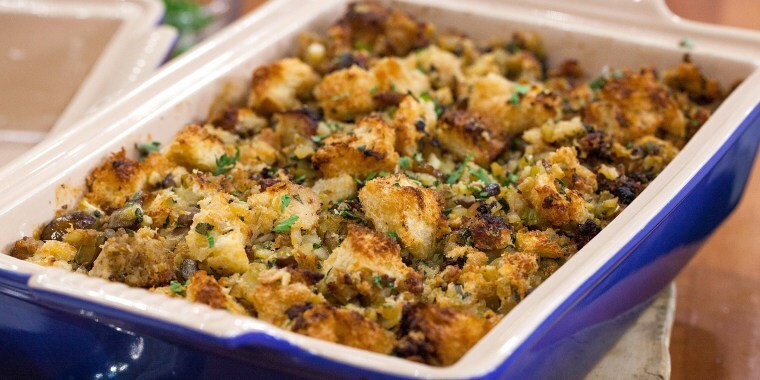 What is the difference between stuffing and dressing? Is there a difference? Is one supposed to be tossed into a salad? And which is better? Some people believe that if it's cooked alongside the turkey, it should be called "dressing," but if it's cooked inside the bird, it should be called "stuffing." Others think that the terms are interchangeable, no matter how the dish is prepared. Often, word preference is based on where they are in relation to the Mason-Dixon Line ("dressing" is definitely a Southern term). But no matter what it's called, it's all gravy (so to speak) on turkey day. 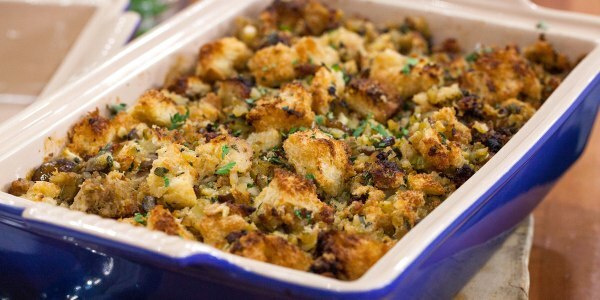 Here are a bunch of the best Thanksgiving stuffing and dressing recipes to consider making this holiday. These savory sides are so delicious, they may just steal the show from the big turkey centerpiece. 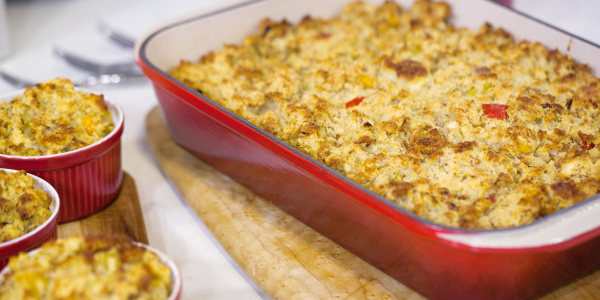 TODAY's Al Roker brings the heat to this classic dish by using spicy pork sausage in this tasty stuffing. By adding in chestnuts and dried cranberries, he adds even more excitement to the Thanksgiving staple. "It's got a little sweetness and a little meatiness," he told TODAY Food. There's no need to cut and toast bread for this fast and easy Thanksgiving dressing from cookbook author Grace Parisi. It's simple to prep in the morning on Thanksgiving Day because it's made with seasoned store-bought salad croutons and is baked in a muffin tin. Everyone at the Thanksgiving table will be able to get a serving that has crispy edges and a soft center. Plus, they're pretty adorable. Instead of using cornbread or a store-bought stuffing mix, consider making stuffing with a loaf of a different favorite bread like rye, whole wheat or brioche. Here, a loaf of buttery brioche gets chopped up and combined with meaty breakfast sausage, hearty chestnuts and sweet apples. 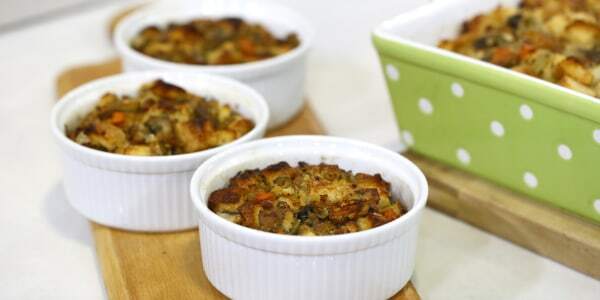 Together, the ingredients create a Thanksgiving stuffing that has many layers of sweet and savory flavors. 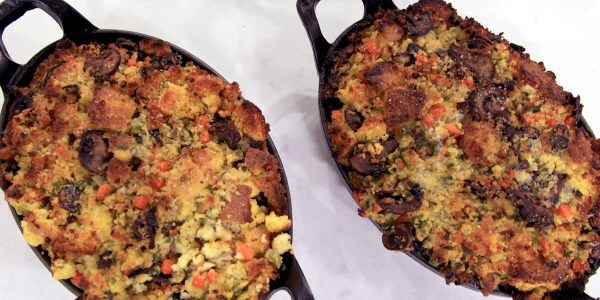 Superstar chef Bobby Flay cooks his mushroom-cornbread stuffing in a cast iron pan which gives it a wonderful golden-brown crust. He makes the cornbread from scratch, too, but it's fine to buy a prepared version at the grocery store or swap in a box of Jiffy Corn Muffin Mix. 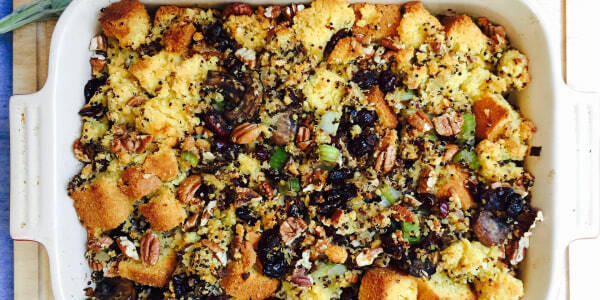 Chef Elizabeth Heiskell believes her sage cornbread dressing is so amazing that it should only be served on very special occasions — like Thanksgiving. She will only eat it a couple times a year, so as not to make it commonplace. It will undoubtedly steal the show from the turkey on Thanksgiving. Surprise! 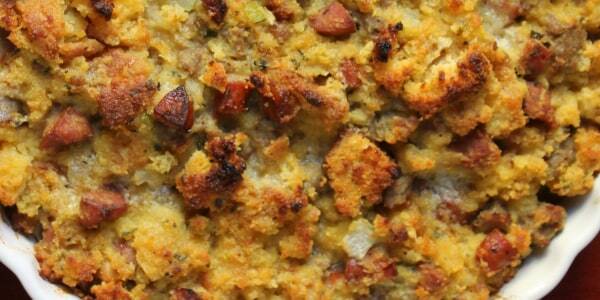 Healthy and satisfying stuffing does exist. This vegan version gets its body from the cornbread and depth from the mushrooms and celery. The pecans and quinoa add a lovely crunch, too. 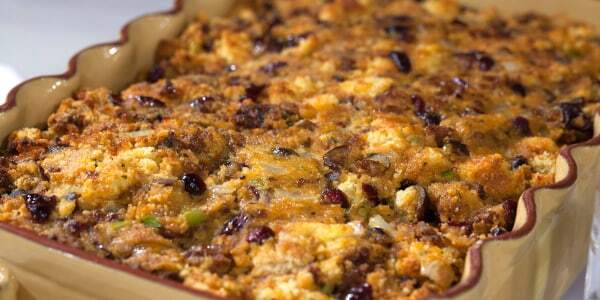 A touch of sweetness from the dried cranberries balances out all of the savory ingredients. Get the heavy lifting done before the big day. This meaty and delicious dressing can be prepared up to two days before Thanksgiving, just pop it in the oven for 40 minutes before the guests arrive. You'll know it's done when it has a pillowy-soft but firm center, crispy edges and a golden top. Don't be surprised if guests want to share a photo of this showstopper on social media. "You can certainly cook this in the turkey, should you be so inclined, but I rather love it in a pan, so that the top gets crispy and browned," cookbook author Katie Workman told TODAY Food. Does that make it a "dressing"? Whether or not it does, this is a delicious side dish that some guests may opt to eat as a main course.